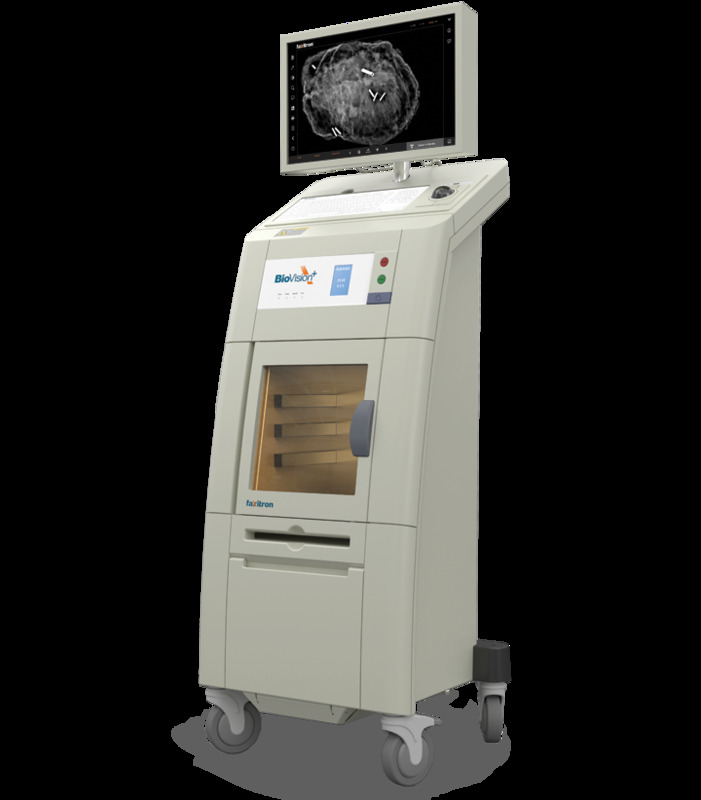 BioVision - Radiation cabinet 《FAXITRON.BIOPTICS》 - X-Ray Sytem - Product - The Industrial Promoting Co. Ltd.
A wide excision of the palpable or impalpable area of abnormality was performed through the incisions market out for the mammoplasty as an initial procedure. In areas of DCIS multiple wires were used to mark the extent of the disease. All specimens were radiographed immediately using a BioVision Digital Specimen Radiography system (Faxitron Bioptics, Tucson, Arizona, USA) and results were available within 30s, and where necessary immediate reexcision of margins was performed. Margins were defined as clear where the tumor was at least 1mm from the excision margin.